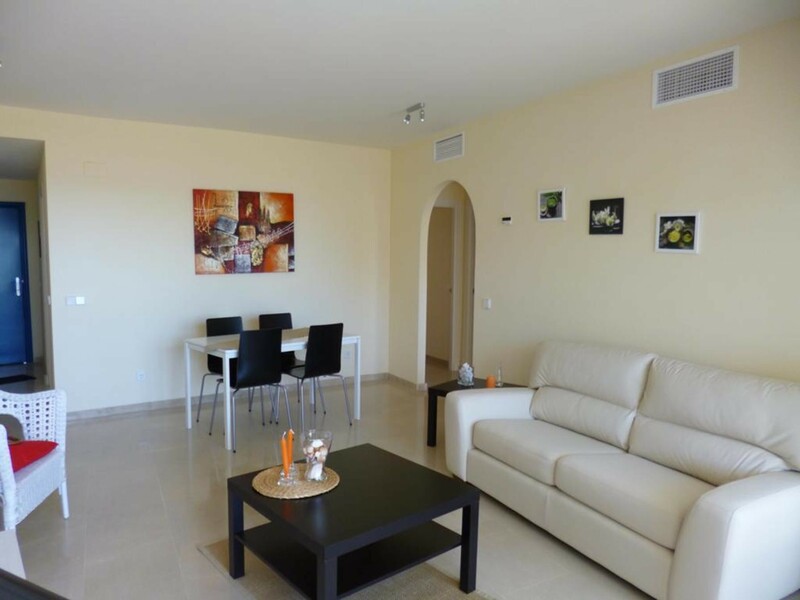 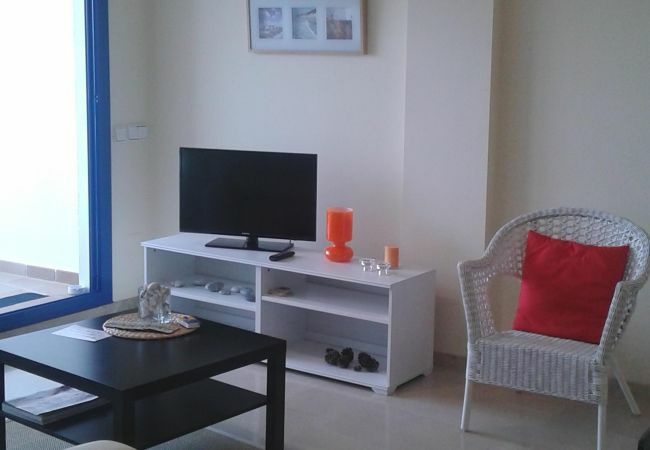 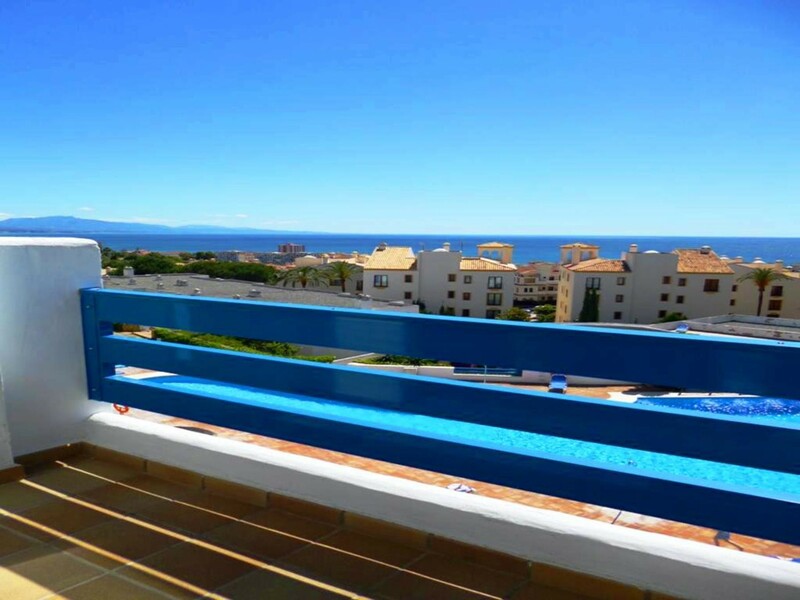 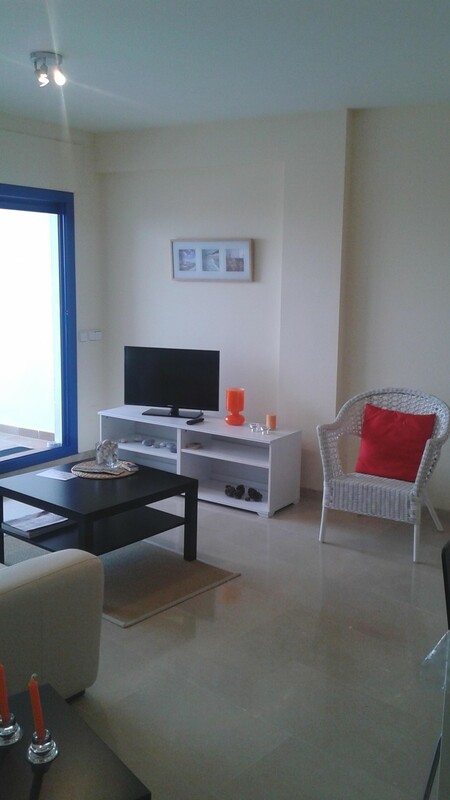 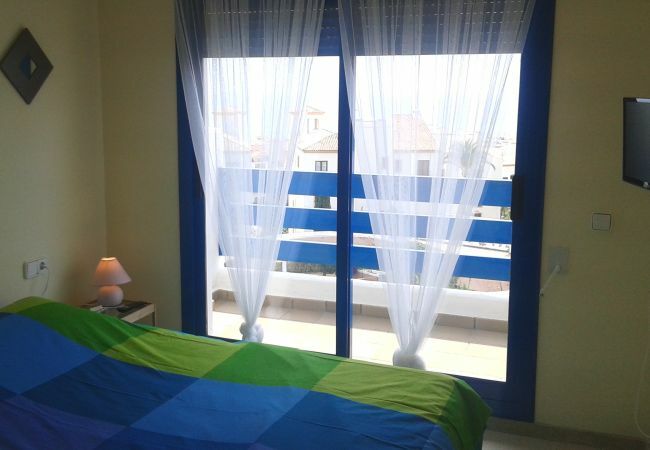 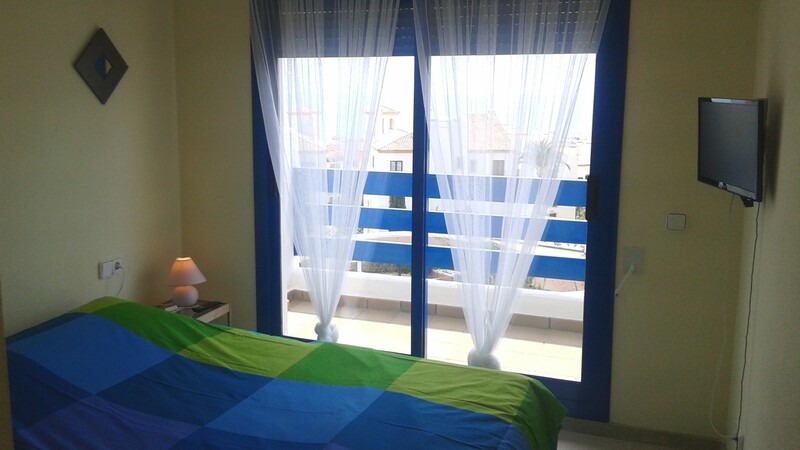 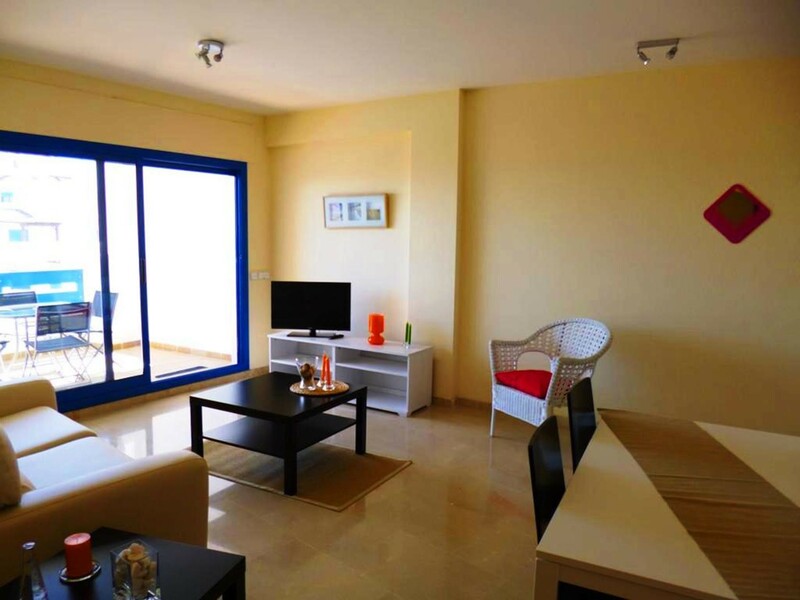 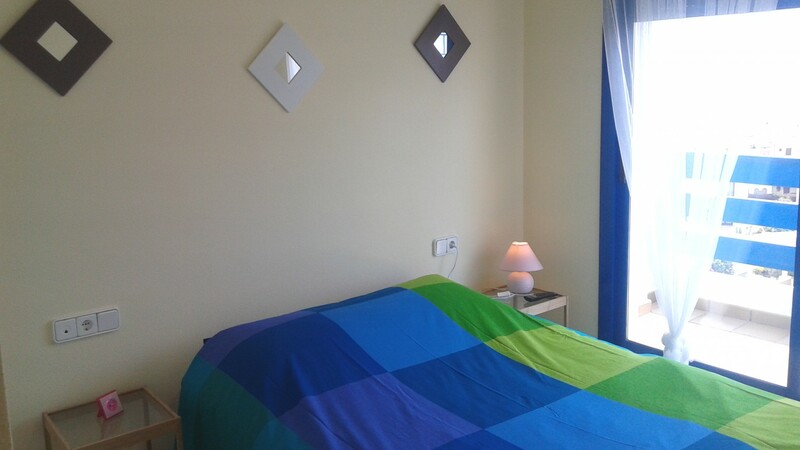 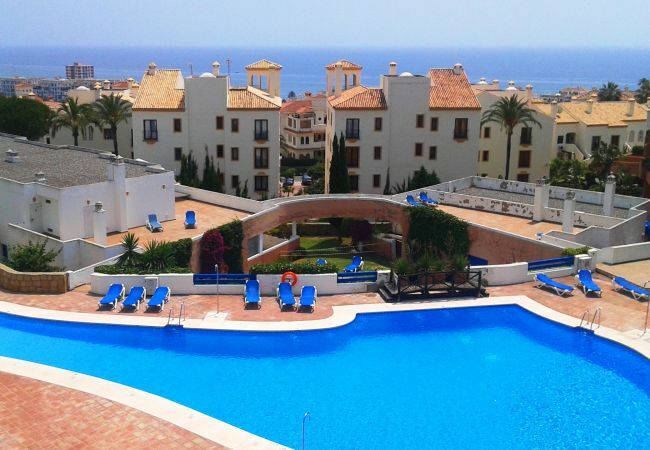 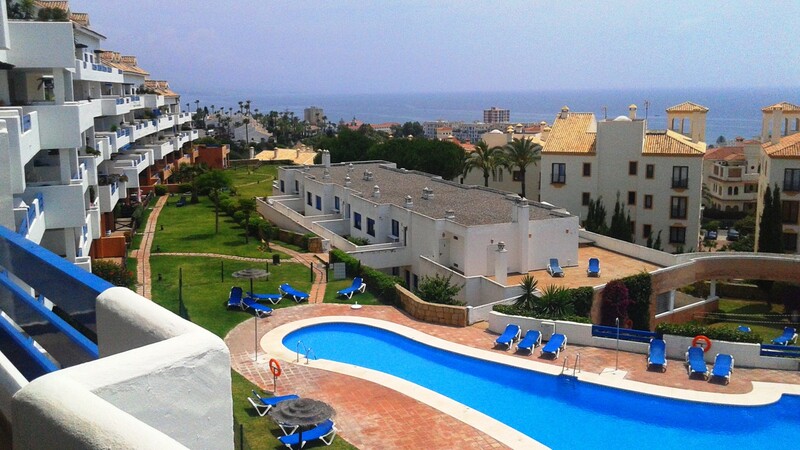 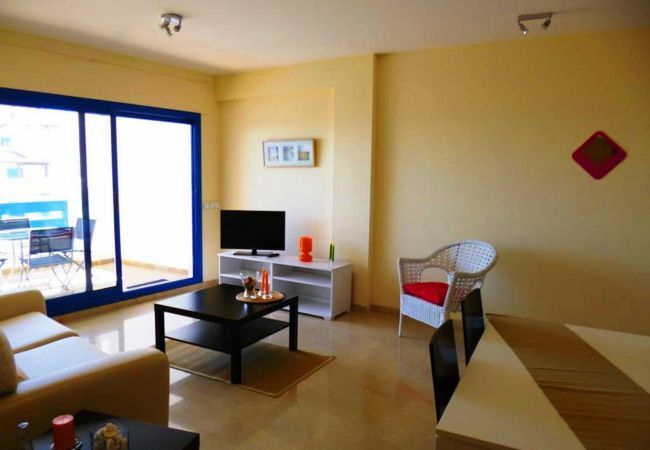 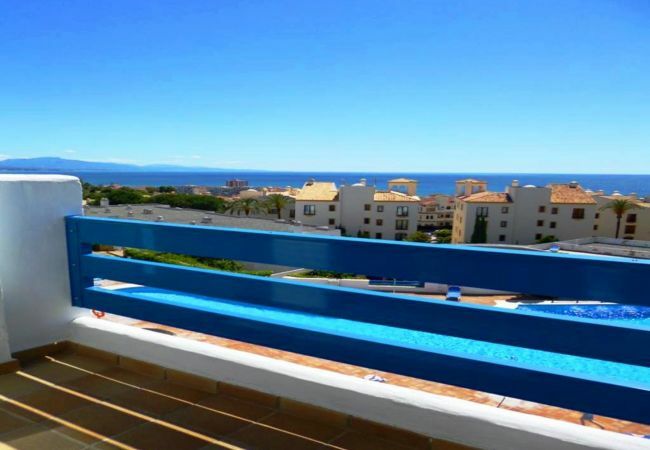 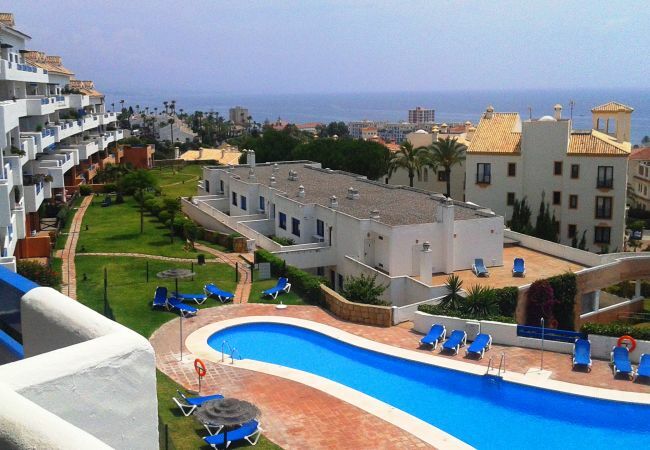 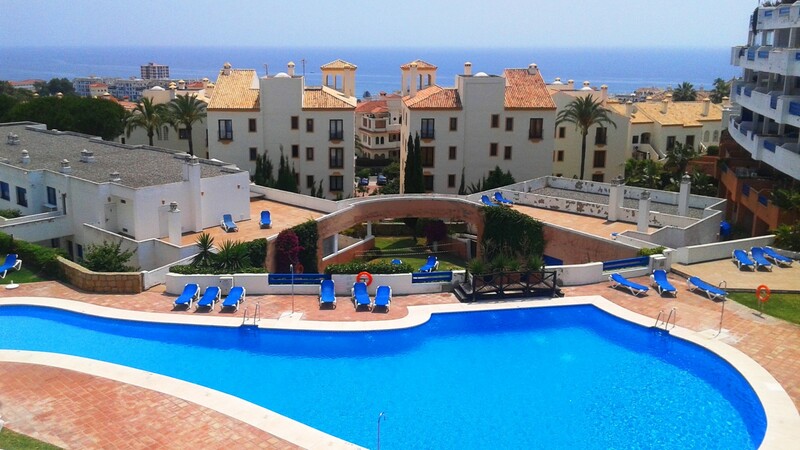 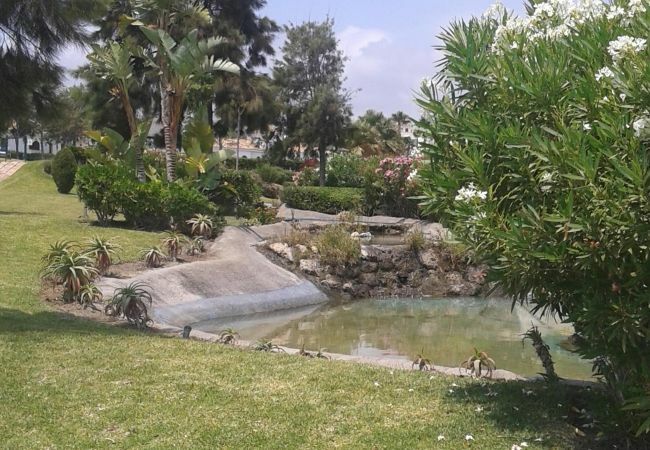 Near the marina of Duquesa and all amenities, this apartment offers a beautiful view of the sea, pool and gardens. 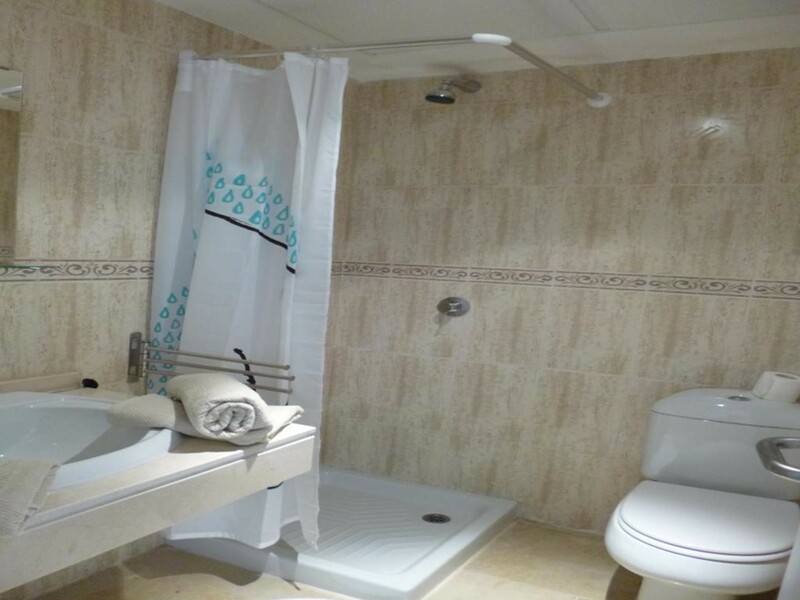 It consists of 2 bedrooms (one with 1 double bed, the other with 2 singles), 2 bathrooms (shower and bathtub), living room and dining room. 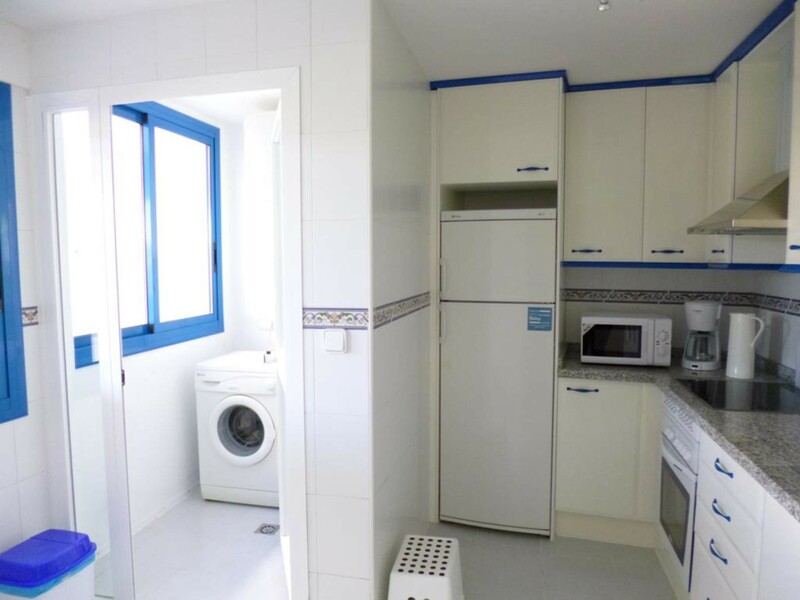 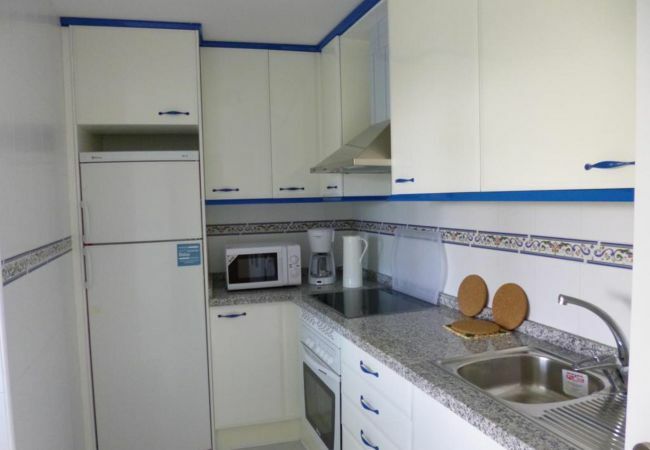 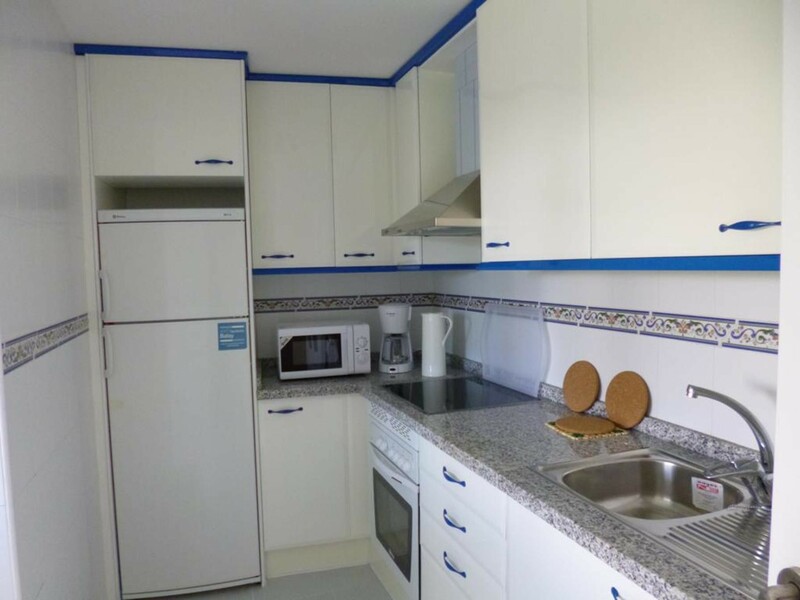 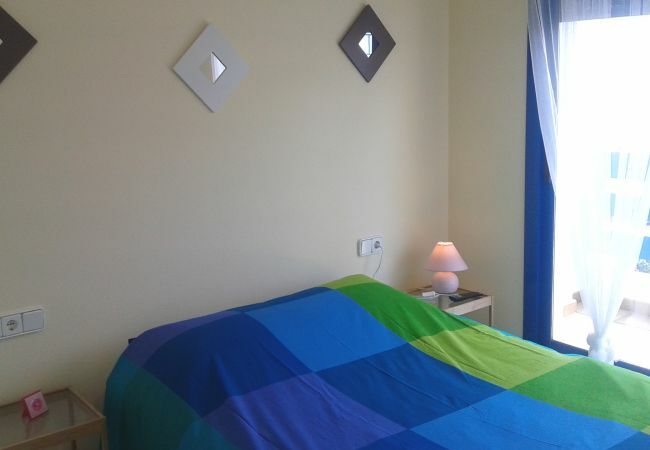 Fully equipped kitchen with dishwasher, oven, microwave, toaster, juicer and coffee maker. 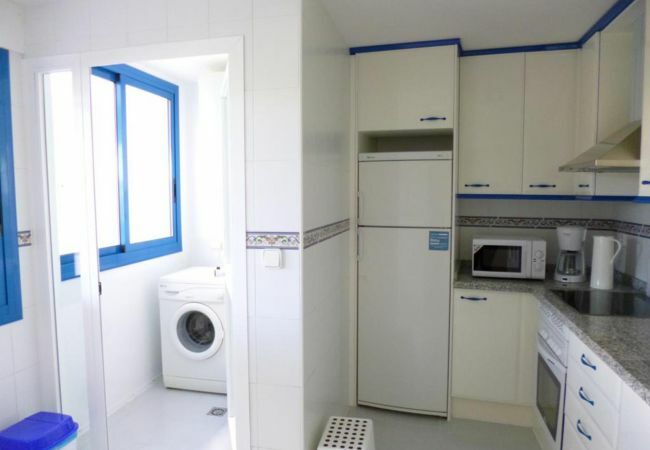 Laundry equipped with a washing machine, an iron and ironing board. 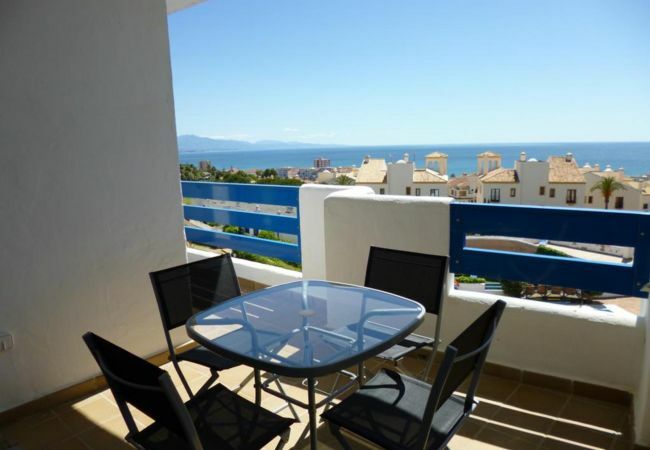 Amménagée large terrace, sunny most of the day, overlooking the pool and coastline. 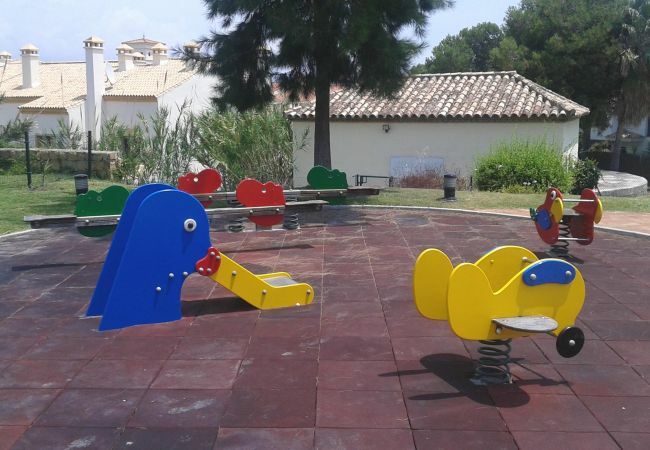 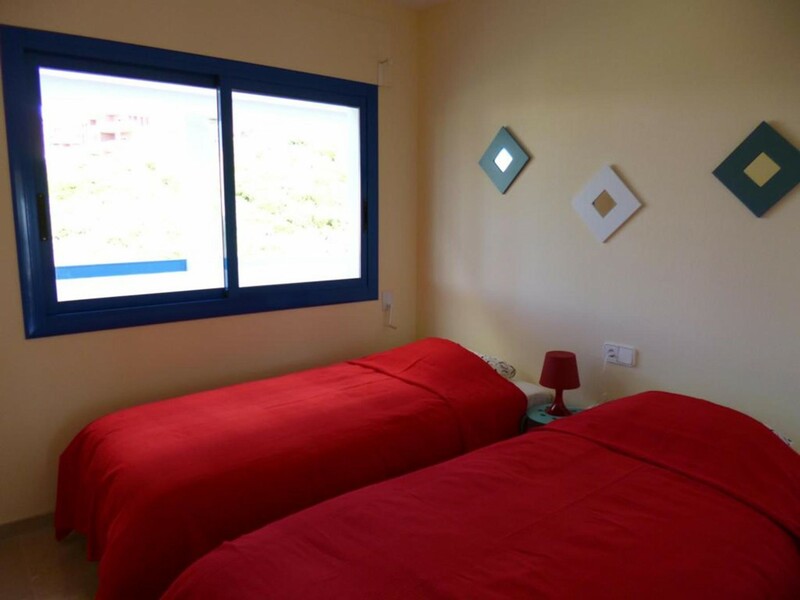 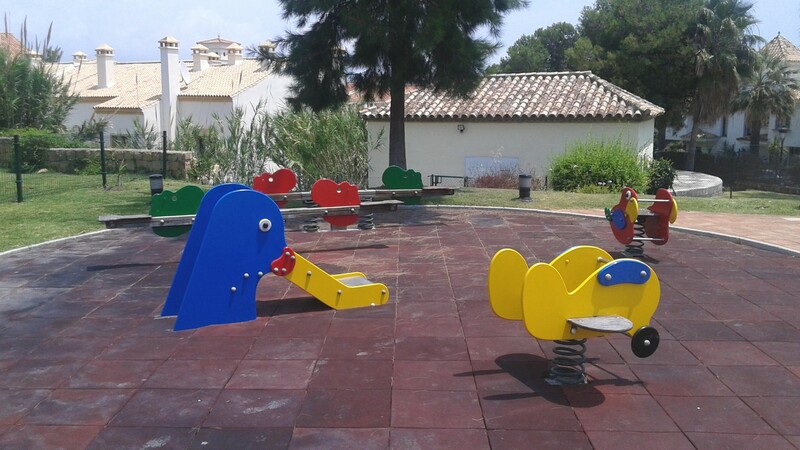 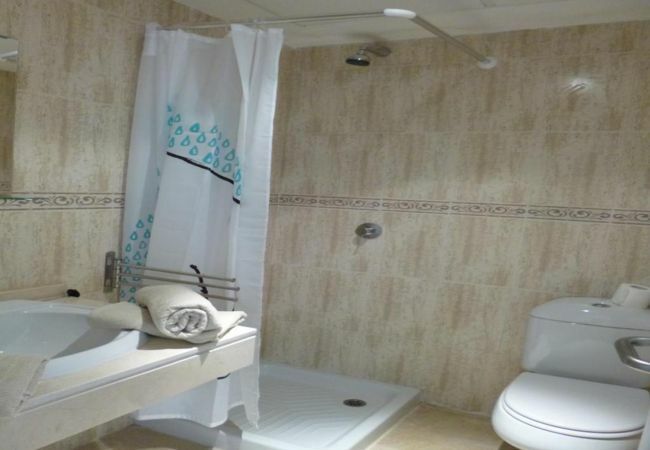 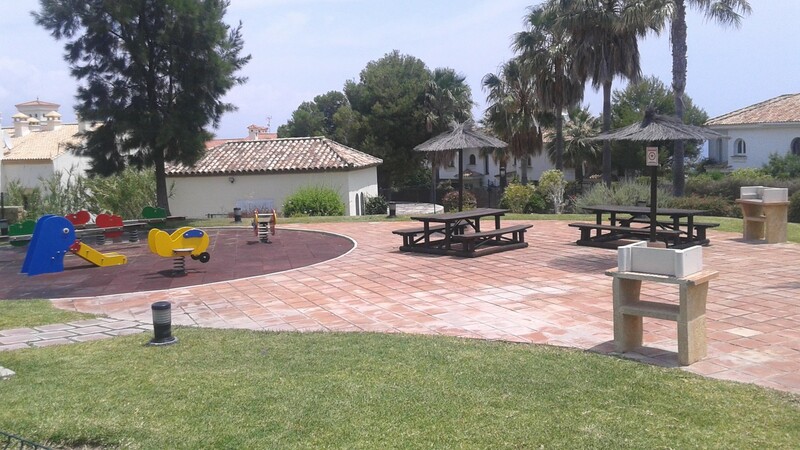 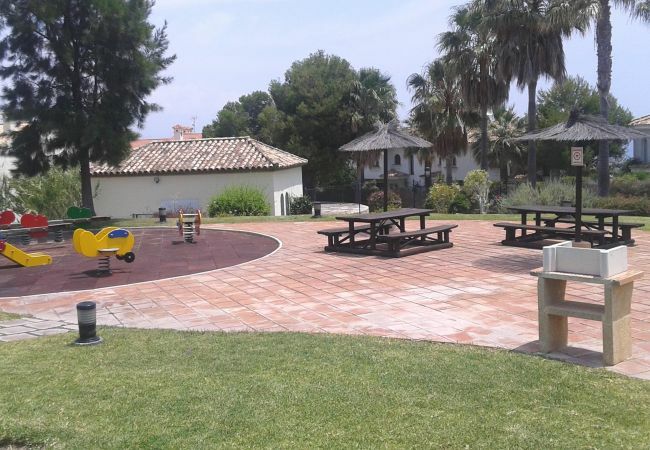 The residence has 3 swimming pools, children's play area, common area barbecue, underground parking and secure access 24h / 24 with guard and CCTV system. 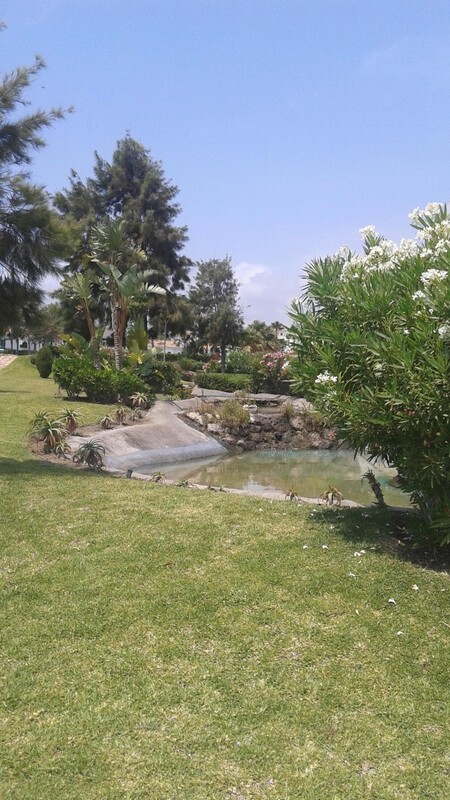 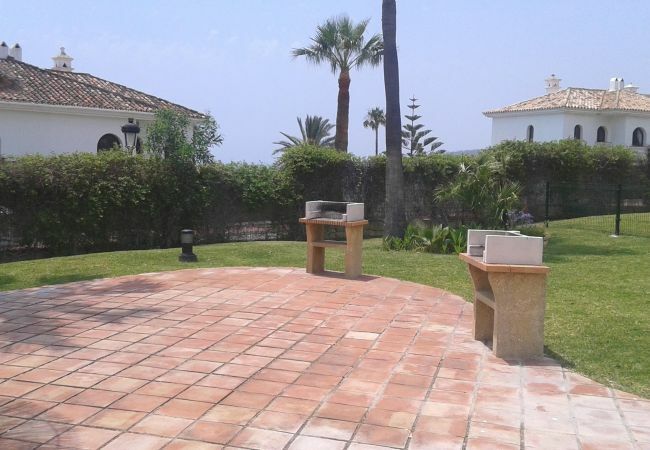 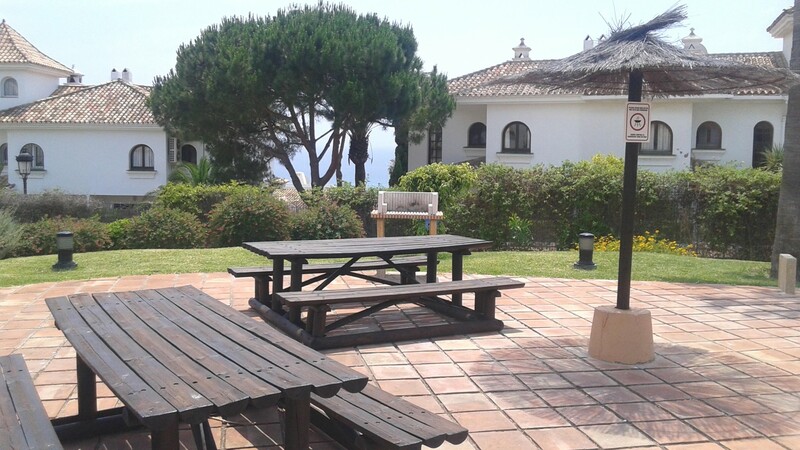 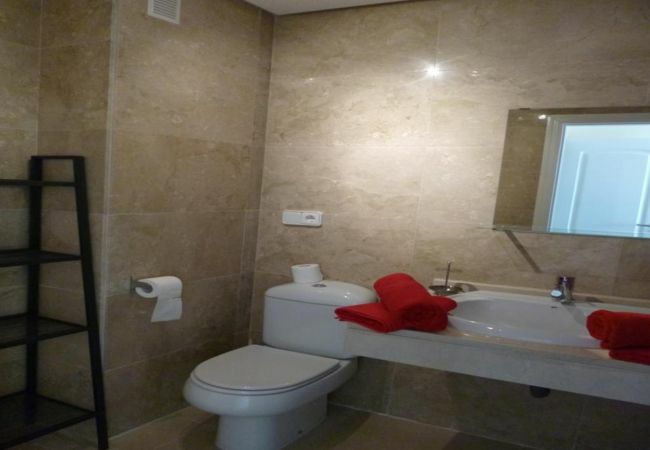 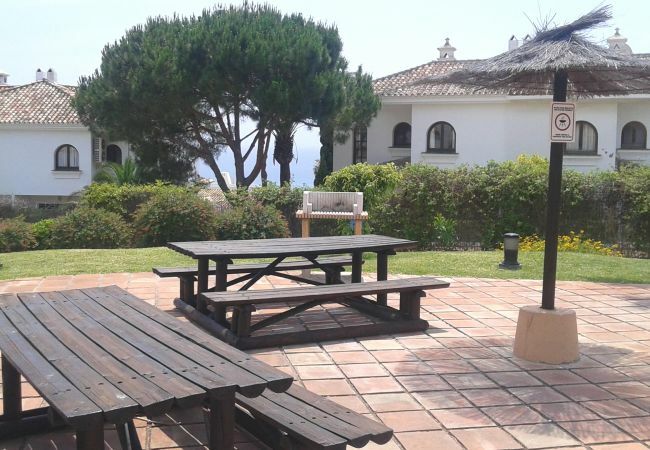 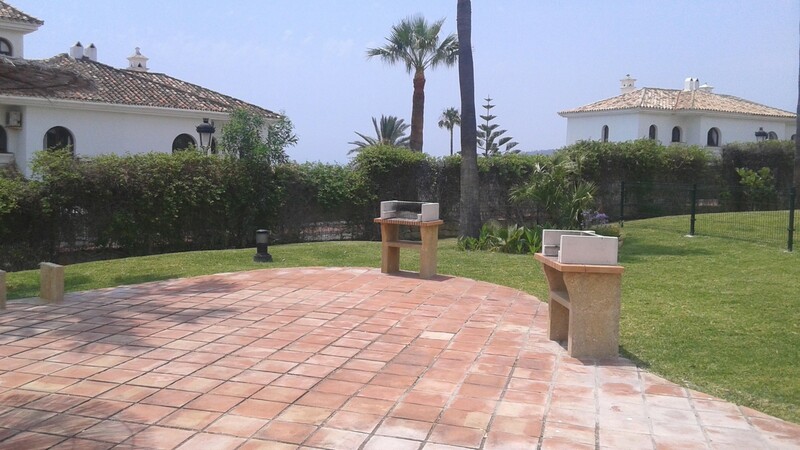 It is located in the heart of the Costa del Sol, on the golf course of Duquesa only 5 minutes walk from the port and its beaches, 10 minutes from the town of Estepona, Marbella 25min and 50min from Malaga airport. 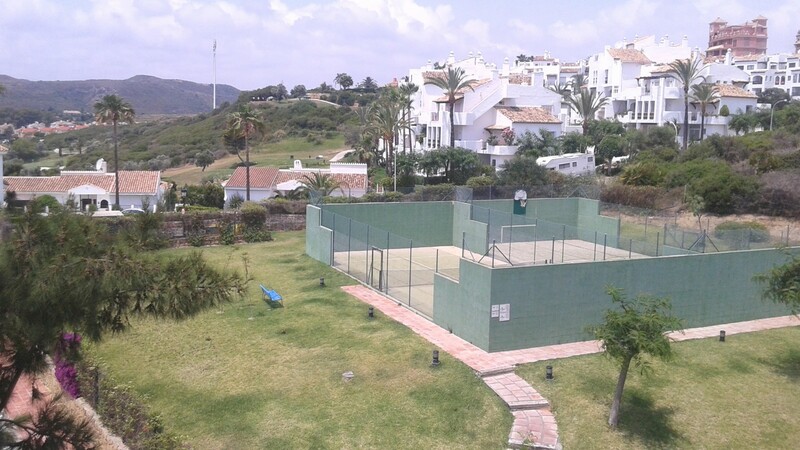 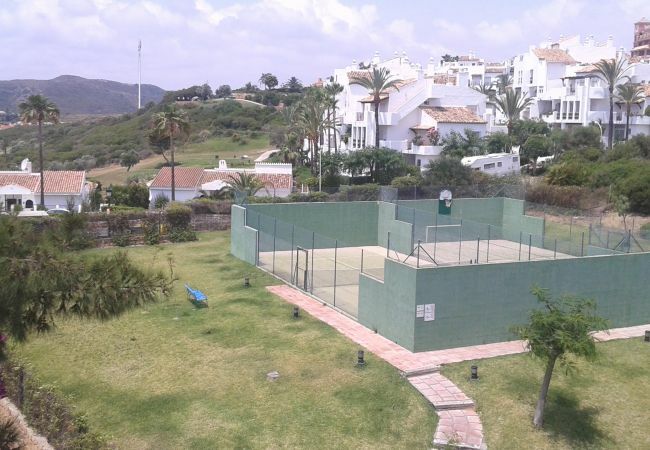 - 1 TV, lift, garden, garden furniture, 15 m² terrace, barbecue, iron, childrens area, paddle tennis court, 90 m² property, 105 m² plot, electric heating, air-conditioned, communal swimming pool, Garage in the same building.